Definition at line 4277 of file CCopasiXMLParser.h. Definition at line 4284 of file CCopasiXMLParser.h. Definition at line 11971 of file CCopasiXMLParser.cpp. Definition at line 11976 of file CCopasiXMLParser.cpp. Definition at line 12090 of file CCopasiXMLParser.cpp. 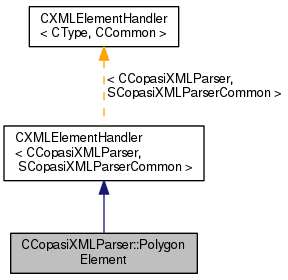 References CCopasiMessage::EXCEPTION, CCopasiXMLParser::mCommon, MCXML, CExpatTemplate< CExpat >::mParser, SCopasiXMLParserCommon::pListOfCurveElements, START_ELEMENT, and UNKNOWN_ELEMENT. Definition at line 11981 of file CCopasiXMLParser.cpp. 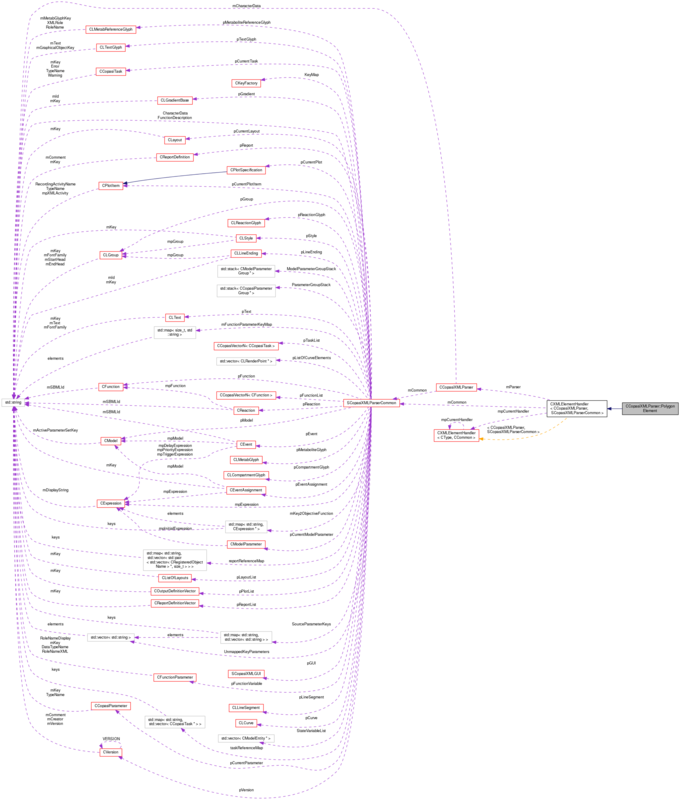 References CLGroup::addChildElement(), CLGraphicalPrimitive2D::EVENODD, CCopasiMessage::EXCEPTION, CLGroup::getElement(), CLPolygon::getListOfElements(), CLGroup::getNumElements(), CLGraphicalPrimitive2D::INHERIT, CCopasiXMLParser::mCommon, MCXML, CExpatTemplate< CExpat >::mParser, CLGraphicalPrimitive2D::NONZERO, CLGraphicalPrimitive1D::parseDashArray(), CLTransformation2D::parseTransformation(), SCopasiXMLParserCommon::pGroup, SCopasiXMLParserCommon::pListOfCurveElements, CLGraphicalPrimitive2D::setFillColor(), CLGraphicalPrimitive2D::setFillRule(), CLGraphicalPrimitive1D::setStroke(), CLGraphicalPrimitive1D::setStrokeWidth(), strToDouble(), and UNKNOWN_ELEMENT. 12064 //only one type of tags may occur here, so we can throw an exception. 12065 //No need to silently ignore unknown tags here.